Here is another highlights post from me. 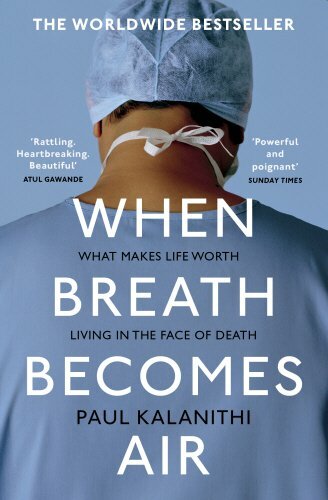 This time highlights are from When Breath Becomes Air by Paul Kalanithi and Abraham Verghese. A word meant something only between people, and life’s meaning, its virtue, had something to do with the depth of the relationships we form. It was the relational aspect of humans—i.e., “human relationality”—that undergirded meaning. He paused. “Paul,” he said, “do you think my life has meaning? Did I make the right choices?” It was stunning: even someone I considered a moral exemplar had these questions in the face of mortality. Severe illness wasn’t life-altering, it was life-shattering. It felt less like an epiphany—a piercing burst of light, illuminating What Really Matters—and more like someone had just firebombed the path forward. Now I would have to work around it. Death, so familiar to me in my work, was now paying a personal visit. Here we were, finally face-to-face, and yet nothing about it seemed recognizable. The problem, however, eventually became evident: to make science the arbiter of metaphysics is to banish not only God from the world but also love, hate, meaning—to consider a world that is self-evidently not the world we live in. That’s not to say that if you believe in meaning, you must also believe in God. It is to say, though, that if you believe that science provides no basis for God, then you are almost obligated to conclude that science provides no basis for meaning and, therefore, life itself doesn’t have any. In other words, existential claims have no weight; all knowledge is scientific knowledge. As in most modern narratives, a character’s fate depended on human actions, his and others. Graham Greene once said that life was lived in the first twenty years and the remainder was just reflection. Conversely, we knew that one trick to managing a terminal illness is to be deeply in love—to be vulnerable, kind, generous, grateful.